What could be more fun than exploring a city by bike? Until today, cycling through the center of Kuala Lumpur was almost like an impossible expedition. MikeBikes has created beautiful safe cycling routes that show the history and culture of Kuala Lumpur in all its details. 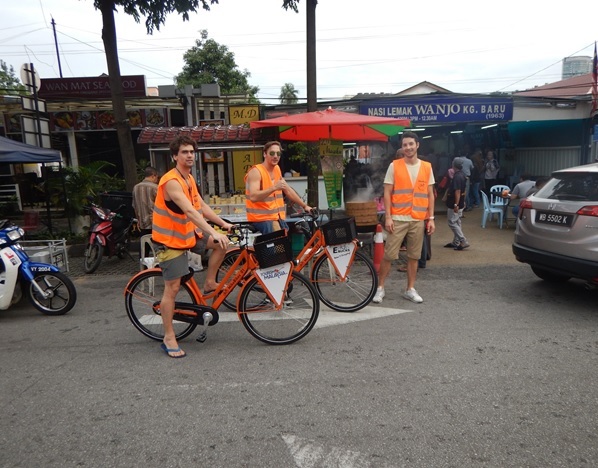 Two Dutch leisure cyclists have created the possibility to actually experience the more and more authentic Kuala Lumpur disappearing in the background ... on the bike! They work together with local, English-speaking guides who tell you about their city, their streets, culture and customs with passion, love and pride. Local restaurants and bicycle companies are also called in to let the tourist enjoy this metropolis. MikeBikes takes you behind the scenes of Kuala Lumpur. There where you as ordinary tourist do not just come. Different tours are offered per day, every day of the week. Each tour has regular breaks in which the guide tells you passionately about the sights. 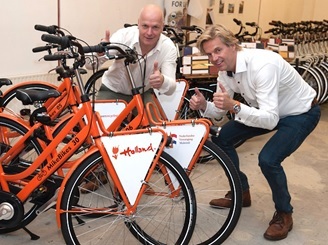 MikeBikes is endorsed by the Dutch Embassy in Kuala Lumpur & the Ministry of Tourism & Culture in Malaysia. The Best of Kuala Lumpur Classic starts in the morning at 8.00 am. This 4-hour tour leads you through many different places through Kuala Lumpur. Excellent to discover the city in all its facets. Drinks and brunch included. We start in the heart of Kuala Lumpur. You get a lot of practical tips from the local tour guide. See what the tour entails and what is included. Kuala Lumpur Sunset and Night tour starts in the afternoon at 5.00 pm. Would you rather discover the city as it prepares for the evening? Then this is your tour. Literally and figuratively you will be taken on a very colorful tour that is very varied and where you will be offered a local dinner with a drink. The guide will guide you to interesting buildings and places for 4 hours. Kuala Lumpur�s Authentic Experience is the tour for those who want to experience the daily authentic Malaysian life in 2 hours. We explore the oldest village of Kampong Bharu. A contrast-rich spectacle with a background with the Petronas Twin Towers in a few hundred meters. Of course we taste something of the fruit on the market in Chow Kit. About 3 years ago we began our explorations in Kuala Lumpur. As passionate and recreational cyclists we saw that Kuala Lumpur undergoes a process of accelerated urban development (traffic jam, concrete towers and suffocating pollution). We have also experienced that this is a development that takes place mainly on the surface and that there is also another, much more traditional Kuala Lumpur, which is increasingly disappearing into the background. 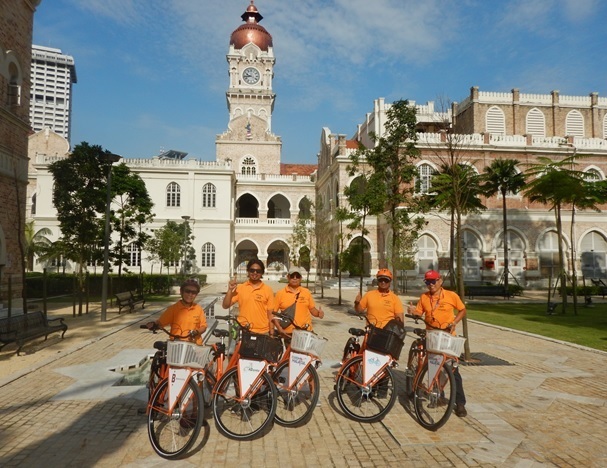 Together with the Ministry of Tourism and Culture of Malaysia we have taken the initiative to rediscover the authentic Kuala Lumpur by bike. We have visualized an extensive network of bicycle-friendly local streets and alleyways in collaboration with Cycling KL. We discovered more and more a "hidden world". Where the Bumiputras, the Malaysian people, still lead traditional life. A world that is largely unknown to outsiders. Kuala Lumpur has colorful sights, is a melting pot of smells from the local markets or the intriguing lives of the local population. It is therefore one of the most fascinating cities in Asia. Our mission is to share these discoveries with others! MikeBikes aims at the so-called 'ethical business'. We want the profits of MikeBikes to flow back to the local population. We do this by involving as many locals as possible in our activities. For example, there is cooperation with local guides, local restaurants and local bicycle companies will also be involved for the maintenance. The ultimate goal is to provide the children of socially disadvantaged families in Kuala Lumpur with a second-hand bike for free, for which they will take care of themselves. Free workshops in collaboration with Bike Kitchen KL will teach them that. The youth is then brought up with a bicycle as a means of transport, which they will cherish to increase their range. Ultimately, the increase in this environmentally friendly, green way of transport will contribute to a cleaner and more liveable environment in Kuala Lumpur.